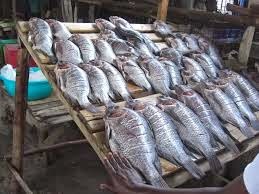 Business women in the lakeside city of Kisumu are up in arms with top fishery officials in Kisumu county working in cahoots with rogue fishermen, to allegedly harass and frustrat the women traders who operate fish eateries along the shores of Lake Victoria. Speaking to Weekly Citizen on strict conditions of anonymity, the disgruntled women representatives drawn from various business organisations took issue with a certain notorious group of fishermen who are not only interfering with the fish breeding areas but also encroaching into other people’s land where they dock with impunity to count and dispose off their fish harvests. The land which is to adjacent her eating joint Tilapia Beach has for decades been tresspassed onto and fencing poles erected but which were later pulled down.